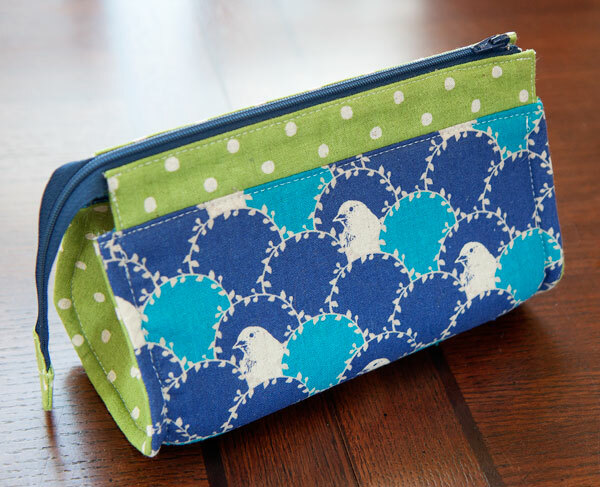 I used an Echino canvas and a canvas polka dot for the exterior fabric. 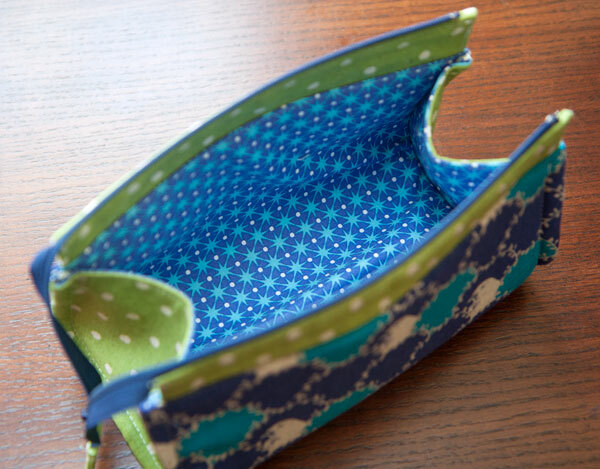 I lined it with a pretty blue star fabric–I wish I could remember the designer, but the selvage is trimmed off. I love that it opens nice and wide. However, I’m not loving the big gap in the sides at the top–if I were to travel with this bag full of makeup, a bunch of it would probably fall out of the bag in transit. So it will be used for big stuff that won’t slide through the gap, or for something not involving travel. 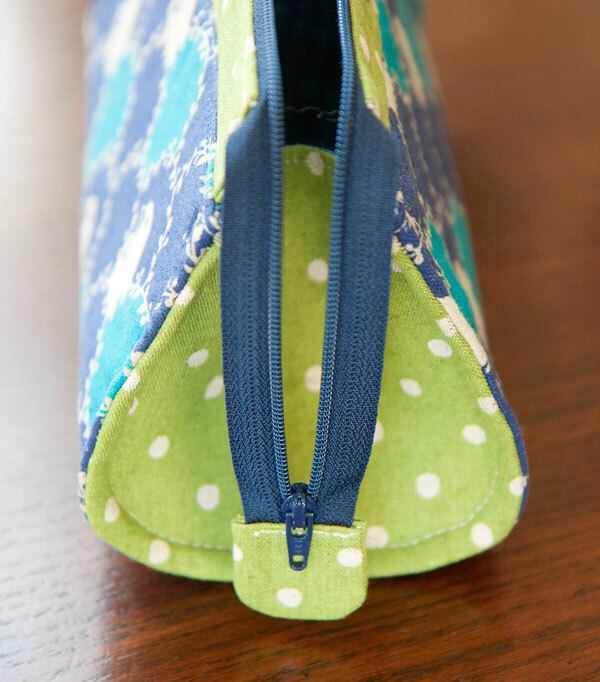 The bag is cleverly put together, but that last topstitching seam around the sides just about killed me! I had to re-do it about 4 times before I said “good enough!!!”. I was also unable to get the lining to lie flat. This might have been my fault, but it drives me crazy when there is a puffy/saggy/droopy lining inside of a bag. I did trim a whole inch off the length of the lining (this might have been why the topstitching was so difficult) but that didn’t quite fix the lining. If I were to make this bag again, I would quilt the inner/outer panel so the lining didn’t puff up.